If you have two or more little ones, you know how important, yet hard, it is to research stroller after stroller. Finding the best buggy for your little family can be overwhelming. You have probably spent hours looking through reviews trying to find the right one. After reading review after review after review, you may even be ready to give up finding the best buggy. 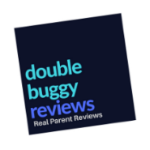 We hope our comprehensive buggy reviews will help you out! If you have two children who can both benefit from a stroller, then this option may be the best way for you to go. In our reviews, we will go over the important details of what you should look for in the best sit and stand stroller. Each review will provide the most important information relevant to your decision. Before moving forward, you really need to be clear on exactly what a sit and stand stroller is. A sit and stand buggy is a double stroller that has one traditional seat and a back section where the older child can either sit or stand, usually on a bench seat or standing platform. As you’ll see, a double pushchair with sit and stand options is best for the parent who has two children with a bit of an age gap. You can strap your younger child in, while your older child has the option to rest if they get tired. One stroller instead of two: when you have two children within 1 to 4 years of each other, your older child still occasionally needs a pushchair, especially on longer outings. Isn’t it best to use one stroller rather than two? Helps older child grow independence: sit and stand options also allow for your older child to rest when they tire, while having the freedom to more easily decide to walk instead if they wish. Best for longer walks and outings: even if your older child is 5 or 6, if you plan on taking a long walk or hitting the zoo, you could be on your feet all day long, which is overwhelming for a child. Age/size of your children: the age and stage of your children will best help determine whether you want a standard sit and stand stroller with a bench seat, or if you might want one that includes another full-sized seat. We have done reviews of both types. Space available: sit and stand double strollers can be quite large. However, there are plenty of very compact options. Be sure to review what kind of car and storage space you have to help you find the best option. Now, for our top four best sit and stand stroller reviews! This sit and stand strollers review shows that, though one of the largest, it comes with every option you could want.Are both of your babies still using infant car seats? That is no problem for this option, as it can accommodate up to two infant car seats by utilizing the front and back areas. It is compatible with all Baby Trend infant car seats and numerous other brands as well.Are neither of your children yet at an age where they are ready to walk more than ride? Our review found that Baby Trend Sit N Stand Ultra allows you to use the back bench space to connect your infant carrier so that your older child can be strapped into the front seat.This buggy is very sturdy, with great front wheel suspension to provide a safe and smooth ride. The front seating area is covered by a large sunshade, and all seats have trays or cup holder options to keep drinks and snacks. Our review of this double sit and stand stroller reveals that it is best for parents with two kids who are a little further apart in age.The front seat provides a full traditional buggy seat with safety harness that can recline. It also has a sun shade to protect your little one from harmful UV rays. If your youngest is still in an infant carrier, you can connect any of Graco’s click and classic connect infant carrier car seats into the front seat.The back bench is padded, best for your older child to sit comfortably, while there is also a standing platform and handlebars for them to hold onto for safety.This buggy can hold up to two children of 50 pounds each, has a generous storage area underneath, and has a one-hand collapsing option for easy storage. We found that it is also a bit lighter and more compact, weighing approximately 27 pounds. Our review of this sit and stand stroller found it is the best for being very light weight and compact, especially for a double stroller. It is best for parents with two children who have a bit of an age gap as well.For parents who just had a new baby, this Joovy stroller has an infant car seat adapter that can be connected to the front seat, which is compatible with over 20 different car seats. The front seat can be set in three different positions from upright to very reclined.In the “caboose” is a comfy, padded bench seat for your older child, or a standing platform if they wish to stand.It comes with a generous sun shade that can even help provide some protection to your child sitting on the bench, but is also removable if desired.Our review revealed that this stroller, though having full double stroller functionality, only weighs about 25 pounds and its dimensions are closer to those of a single stroller rather than a double. More lightweight than the one in the previous review, this Joovy stroller only weighs around 22 pounds and folds very compactly, best for the smaller car trunk or easy storage.The Ultralight comes with all of the great features above, such as the infant car seat adapter, plus, unlike the previous model, it also has a parent organizer with two cup holders and a pouch, and the sunshade now includes an extendable shade to ensure complete coverage of the child sitting on the bench.Another amazing feature about this model, is that if you feel your eldest is still a bit too young for the independence of the bench and standing platform, you can purchase a Joovy Caboose rear seat that can be installed over the bench area, which is a stellar option if you have toddlers. If you have two very young ones in the infant/toddler stage, our reviews show that the Baby Trend is probably the best way to go. If you need something light weight, but which can still accommodate two younger ones, the Joovy Caboose buggies may be the best way to go for you. For those with two children that have a significant age gap, Graco’s Roomfor2 may be best for your family. Ultimately, your choice depends on your situation, but we are certain we’ve provided the most comprehensive insights possible that are guaranteed to give you the best options.